Wow such nice tangerine colors! We did an experiment by breeding our Giant Tremper Sunglow, Zeus, to a beautiful Blood Tangerine female. The results are spectacular! This girl has deep orange coloration, with bands of green throughout her back. The dark spotting on her head and tail give this gecko character and contrast. She also has a very nice carrot-tail that's still spreading. This gecko is beautiful. 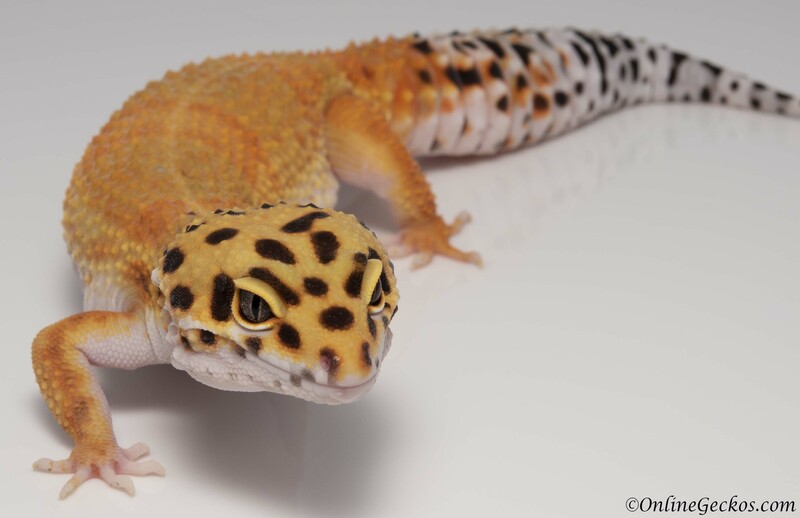 She is 100% het for Tremper Albino due to the father being a Tremper Sunglow. She's feeding well on superworms. At a little over 2 months old, she already weighs 32g. Good growth rate. She get spooked when you initially goes to pick her up, but calms down once you're holding her. She should be fairly easy to handle. If you are a breeder, she'll add nice color to your breeding collection. 2-18-2019 Update: Added a couple of new pics and updated her weight. She now weighs 66g! She has also mellowed out even more to a point where we consider her "extremely docile". We took her out for a photoshoot and she didn't even make a fuss. 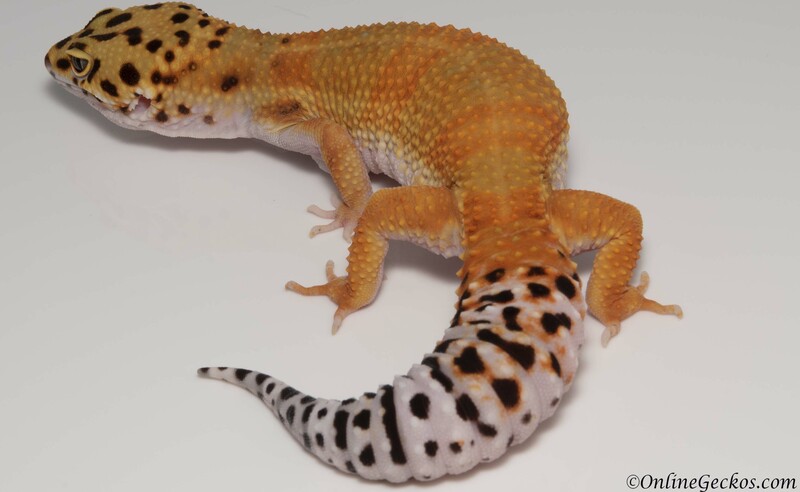 Blood influence is really showing up now, what a beautiful gecko with an amazing carrot-tail! Updated pic 1, pic 2.